Save your breath! We've compiled some of the FAQ we often get to save you the trouble of enquiring. Use the below navigation to search by theme! In these Terms of Service, "we", "us", "our" or "Crumpler" means Crumpler PTY LTD. Access to and use of this Website and the goods and services available through this Website (collectively, the "Services") are subject to the following terms, conditions and notices (the "Terms of Service"). By using the Services, you are agreeing to all of the Terms of Service, as may be updated by us from time to time. You should check this page regularly to take notice of any changes we may have made to the Terms of Service. You must not misuse this Website. You will not: commit or encourage a criminal offence; transmit or distribute a virus, trojan, worm, logic bomb or post any other material which is malicious, technologically harmful, in breach of confidence or in any way offensive or obscene; hack into any aspect of the Service; corrupt data; cause annoyance to other users; infringe upon the rights of any other person's proprietary rights; send any unsolicited advertising or promotional material, commonly referred to as "spam"; or attempt to affect the performance or functionality of any computer facilities of or accessed through this Website. Crumpler will report any such breach to the relevant law enforcement authorities and disclose your identity to them. The intellectual property rights in all software and content made available to you on or through this Website remains the property of Crumpler or its licensors and are protected by copyright laws and treaties around the world. All such rights are reserved by Crumpler and its licensors. You may store, print and display the content supplied solely for your own personal use. You are not permitted to publish, manipulate, distribute or otherwise reproduce, in any format, any of the content or copies of the content supplied to you or which appears on this Website nor may you use any such content in connection with any business or commercial enterprise. You shall not modify, translate, reverse engineer, decompile, disassemble or create derivative works based on any software or accompanying documentation supplied by Crumpler or its licensors. No licence or consent is granted to you to use Crumpler marks in any way, and you agree not to use these marks or any marks which are similar without the written permission of Crumpler. - You must provide us with true and accurate registration information. You must keep any user name and password allocated to you confidential, and we are entitled to assume that anyone using that user name and password is you. - Crumpler reserves the right to close accounts if you are seen to be using proxy IPs (Internet Protocol addresses) in order to attempt to hide the use of multiple accounts or disrupt any of our services in any way. - If you use multiple accounts for the purpose of disrupting the Crumpler website or services you may have action taken against all of your accounts. - If you sign into any area of this Website or any other service that uses a single-sign on (e.g. Facebook Connect) on a public computer (e.g. at a university, public library etc,) and do not sign out, someone else who uses that computer after you may be able to access your Crumpler account(s). We therefore advise you to ensure you log out of all services when you have finished using a public computer. - Where you access the Website using a mobile device (e.g. a phone or tablet) through a web browser or an app, depending on your settings you may stay signed on from that device. This means that someone else with access to your device may be able to access your Crumpler account(s). You should protect the device with a password, and if your device is lost or stolen, use remote wipe facilities (if available) to clear all personal information on your device, and change the password(s) for your Crumpler account(s). By placing an order for any goods on our Website you are offering to purchase the goods on and subject to the following terms and conditions. All orders are subject to availability and confirmation of the order price. Dispatch times may vary according to availability and any guarantees or representations made as to delivery times are limited to Australia and subject to any delays resulting from postal delays or force majeure for which we will not be responsible. In order to contract with Crumpler you must be over 18 years of age and possess a valid credit or debit card issued by a bank acceptable to us. Crumpler retains the right to refuse any order made by you. When placing an order you undertake that all details you provide to us are true and accurate, that you are an authorised user of the credit or debit card used to place your order and that there are sufficient funds to cover the cost of the goods. Whilst we try and ensure that all details, descriptions and prices which appear on this Website are accurate, errors may occur. If we discover an error in the price of any goods which you have ordered we will inform you of this as soon as possible and give you the option of reconfirming your order at the correct price or cancelling it. If we are unable to contact you we will treat the order as cancelled. If you cancel and you have already paid for the goods, you will receive a full refund. Delivery costs will be charged in addition; such additional charges are clearly displayed where applicable and included in the 'Total Cost'. The issuer of your credit or debit card may charge currency conversion or other fees in relation to your order. You should check with the issuer of your credit or debit card for details of any such fees. 9.1 Returning goods if they are faulty Our goods may come with guarantees that cannot be excluded under the Australian Consumer Law. You may be entitled to a replacement or refund for a major failure and compensation for any other reasonably foreseeable loss or damage. You also may be entitled to have the goods repaired or replaced if the goods fail to be of acceptable quality and the failure does not amount to a major failure. If you think that there is a fault with the goods you have received, please let us know straight away by contacting our Online Team. Please include as many details as possible about the order and the problem with the goods. This section applies to the return of all goods, regardless of whether they are faulty or you choose your mind or need a different size. You are responsible for the costs of returning goods to us. Any goods returned are your responsibility until they reach our warehouse. Please ensure you package your return to prevent any damage to the goods or boxes. We are not responsible for any goods that are returned to us in error. Except where expressly stated to the contrary all persons (including their names and images), third party trade marks and images of third party goods, services and/or locations featured on this Website are in no way associated, linked or affiliated with Crumpler and you should not rely on the existence of such a connection or affiliation. Any trade marks/names featured on this Website are owned by the respective trade mark owners. Where a trade mark or brand name is referred to it is used solely to describe or identify the goods and services and is in no way an assertion that such goods or services are endorsed by or connected to Crumpler. "your data" means any information about you which is personally identifiable, including, without limitation, your name, address, telephone number, email address, Registration Name, Password, where applicable, and other information from which you can be identified and which you may disclose to us or otherwise via the site at any time. This information is known as "personal information" because it is capable of identifying you as a living individual. Personal information is afforded certain protections under data privacy and other laws and you can be assured that your personal information will be handled at all times by us in compliance with such laws. We may also collect information from you at the site that does not personally identify you, thought it may be unique or consist of or contain information that you consider personal. For example, we automatically collect the following information: clickstream information such as the address of the web site that you came from before visiting our site, which pages you visit on the site, what country you are browsing from and what default language your internet browser is set to, which browser you used to view the site and any search terms you have entered on our site. This information is anonymous meaning we cannot identify you personally. 2.6 you disclose your data to us through the site at any other point. 3.1.6 where (and only where) consented to by you, to send you and keep you updated with information by email/post/telephone about existing and new services and special offers from us. 3.1.8 where you are a prize winner, to publish or otherwise make available a list of prize winners. iii. email us at au_enquiries@crumpler.com stating your name and desire to be removed from the list. Your request to be removed from our email list may take up to five (5) business days to become effective. Please note that you may receive emails that were already in process even though we have removed you from our list. Even if you are removed from our list, please know that if you place an order on our site we will send you an email confirmation. 3.3 your data will be held by us for so long as is necessary for the purposes for which it was collected, for the settlement of any potential disputes which may be raised or otherwise in accordance with legal requirements. 3.4 Please be aware that when you choose to post a comment review to the site, this and any personal data that you choose to include in it may be made available on the site and therefore be accessible to any visitor to the site. Please therefore think carefully about the content of your comment and only make available what you are happy for others to read. 4.2 we do not actually pass your data to third persons other than in the circumstances set out in 4.1 above. Any administration or correspondence under paragraph 4.1 (save in the case of 4.1.2) is conducted by us on behalf of third parties and they do not have any access to your data unless you yourself choose to contact them or give your consent to such third persons directly. 5.1 We endeavour to take all reasonable steps to protect your data. All the data collected by us is stored on a secure server. The secure server software encrypts all personally identifiable information you input when you place an order before it is sent to us. 6.2 For more information on cookies and how to disable them, you can consult the information provided at www.allaboutcookies.org. Your data may be held or accessed by Crumpler entities or its affiliates globally in the course of providing the site and services to you. We also use third party providers in order to fulfil the purposes set out in paragraph 3 above who may be located in other cities globally. In terms of any such transfers, we ensure that your data is transferred with relevant and appropriate contractual and other safeguards in place to ensure that it is kept secure and handled in accordance with relevant privacy laws. When you access or use this site, you consent to this transfer of your data on these terms. Please also note that if you choose to post a comment on the site then this and any personal data you choose to include in it may potentially be available to site users worldwide. Please be aware that the site may link to other web sites that may be accessed by you through our site. We are not responsible for the data policies, content or security of these linked web sites and encourage you to review the policies on these other sites. ARE THE BAG COLOURS ACCURATE IN THE PRODUCT PHOTOGRAPHY? We do our best to ensure that what you see is as close as possible to the true colour. But, unless your computer monitor is calibrated identically to the systems used by our photographers, designers and web people, there may be slight variations. If it's a concern for you, come into a Crumpler Store. If that's out of the question, email au_enquiries@crumpler.com or phone us on +613 9999 1718. HOW DO YOU MEASURE YOUR BAGS? We believe the most accurate way is to fill each bag first, then measure. Not Christmas dinner chock-a-block bloated, but enough to achieve its intended shape and true usable volume. Just remember, Crumpler bags are not square boxes , so our quoted measurements are generally taken at the widest external point, within reason. If you have a specific sizing question, email au_enquiries@crumpler.com or phone us on +613 9999 1718. To spot clean exterior stains use lukewarm water and mild soap, then remove any soap residue with a damp cloth. For heavy soiling, lightly wipe with a damp cloth. Always dry in the shade. Never submerge your bag in water, to avoid mould and avoid having it dry cleaned, tumble-dried, ironed, treated with harsh chemicals and detergents. Doing so will ruin the protective coating on its fabric. WHERE CAN I GET MORE DETAILED INFORMATION ON ONE OF YOUR PRODUCTS? Each product page on the Crumpler website has Design Notes. These notes give detailed information about specific product features, including sizing, weight and storage capacity. After consuming all this bumpf, if you're still hungry for details, email au_enquiries@crumpler.com or phone us on +613 9999 1718. To get into the bag, there is no key, it’s a number lock. You just need to set the numbers to 0-0-0 and slide the top button in the direction of the arrow and the zips will pop out. Inside you will find a welcome envelope with full instructions on setting up your lock. Personalise your bag with your very own webbing sleeve monogram for $19. Your initials, your year, your message, your mood or your bag! Choose up to three silicone webbing sleeves. Pick from the 45 characters available. Personalisation is completed by hand at our Crumpler HQ. Personalised order will take 2-3 weeks to be dispatched. Once dispatched, a shipping notice will be emailed. Orders are not split. If you order a non-personalised item with a personalised item, the complete order will be shipped once the personalisation has been completed. We are unable to refund or exchange an item once it has been personalised. A refund, exchange or repair will be permitted upon evaluation if the bag is faulty. If the product you are looking for is out of stock, please sign up to the "notify me" button to be emailed as soon as it becomes available again. HOW DO I AVOID BUYING A FAKE CRUMPLER? Easy. The Crumpler products we sell at crumpler.com are available only at established dealers, retailers and e-tailers. If in doubt, contact us — we know exactly where our products go. HOW DO I SPOT A FAKE CRUMPLER? I FOUND A FAKE CRUMPLER FOR SALE – WHAT SHOULD I DO? Tell us where by using our 'contact us' form. We may not be able to do much about it, but we would appreciate knowing where you got it from and at the very least our patent lawyers will earn their retainer this month! WHAT DO I DO WITH THE EXCESS STRAP? You can make a long strap shorter, but not vice-versa. If this is a problem for you, either: a) tuck the excess strap through your bag's side accessory loop, or b) if you're artsy-crafty and brave, trim off a few inches, then seal the new end with a lighter or match to prevent fraying. If in doubt, bring it to your nearest Crumpler store and we'll shorten it for you. It's a nylon or polyester fabric, crosshatched with thick reinforcement threads at regular intervals. 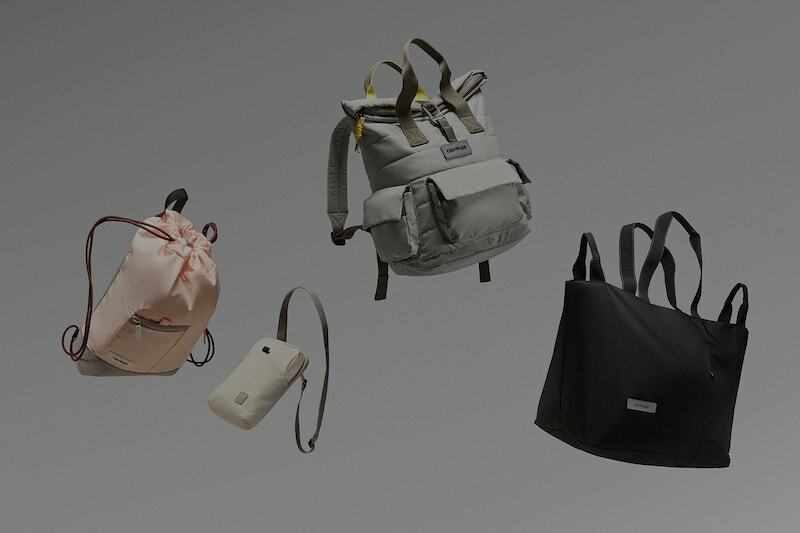 The lining of Crumpler bags is most often either 150D or 300D Rip Stop, which are both super strong, lightweight, durable and resistant to fraying, tearing and ripping. ARE YOU SURE MY LAPTOP WILL FIT IN THIS BAG? Yes. But to be 100% certain, you might want come into a Crumpler Store to test. If that's geographically impossible, check the laptop sleeve measurements under the Sizing tab for each relevant product. They represent the external dimensions of the largest device we that will fit comfortably in the bag. WHERE CAN I GET MORE DETAILED INFORMATION ON ONE OF YOUR PRODUCTS? Each product page on the Crumpler website has Design Notes. These notes give detailed information about specific product features, including sizing, weight and storage capacity. After reading through the detail on this, if you're still hungry for more information, email au_enquiries@crumpler.com or phone us on +613 9999 1718.